Most stocks are down since the global equity markets peaked on 5/21/2015 (this goes without saying) and most stocks are down a lot. This puts a premium on solid active management and stock picking. But the sheer numbers are striking. 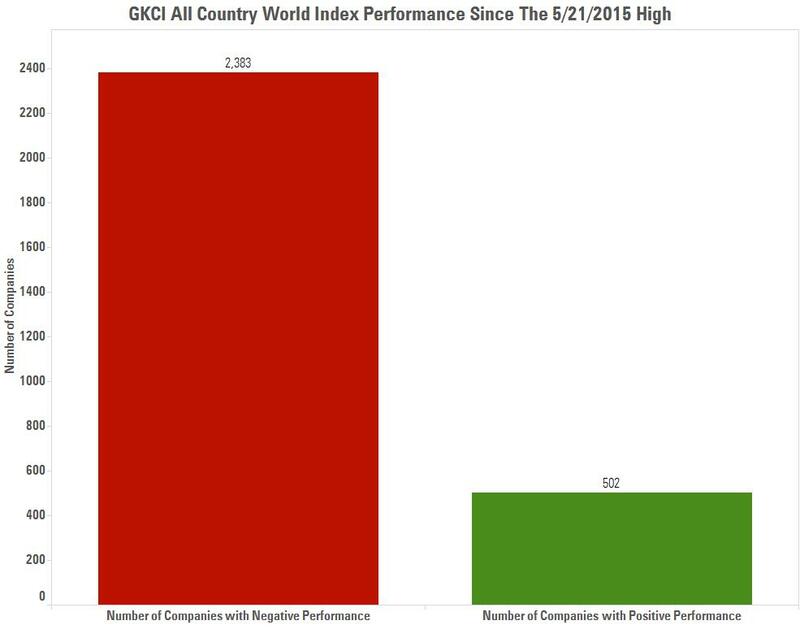 Of the 2885 companies in our GKCI All Country World Index, fully 2383 (or 83%) of them are down since the 5/21/2015 high, leaving only 502 (or 17%) of stocks up since that date. A stock-pickers market if we ever saw one! The first chart below illustrates this blunt point. 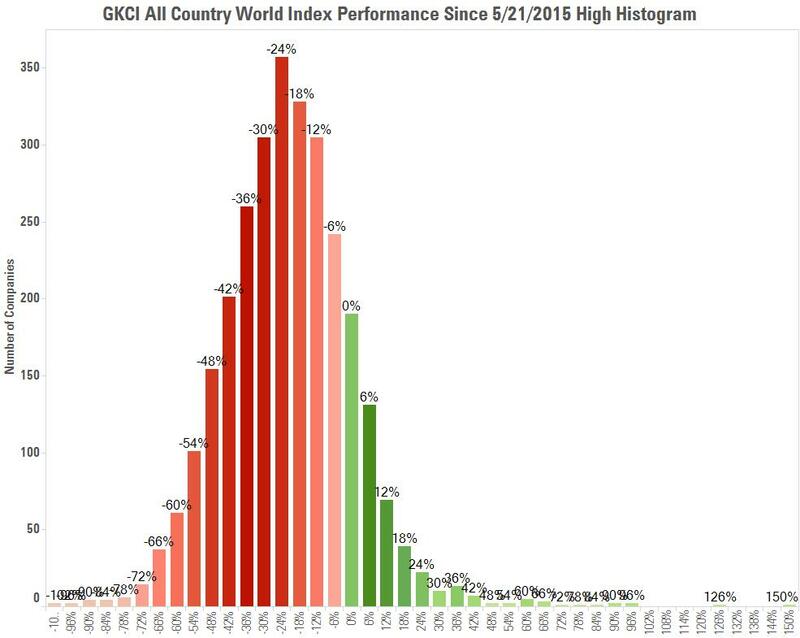 As we dig into the details, however, we see just how hard it’s been to stay above water since the May 21, 2015 peak in the global equity markets. Below we show a histogram of the distribution of stock returns since the 5/21 high. Mostly what you see is red (negative returns) and within that group you see an incredible amount of dark red between the bars that read -18% through -54%. That is to say, most stocks that are down are down between 18-54%! In other words, there are landmines everywhere, and index tracking active mutual funds and ETFs have hit them all.